What’s in Your Background Report? What’s in Your Nannies? 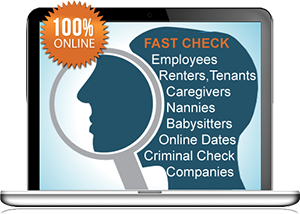 A self background check screening will show you what an employer, landlord or organization sees on your own background report. Negative, false or inaccurate information.? Use our simple self background check. When you’re hiring a nanny, babysitter or a caregiver use our expert level check services for a very fast report. Check Your Self To Know What's Out There. Our services and patented methods are deeply thought out to make background checks easy, remove any apprehension and give you very valuable tools. We show you what is currently reported on your name, so you can check for inaccuracies or misinformation. You can add notes to your screening report to explain or dispute citations. We can also guide you on what steps to take toward resolving any issues found on your self background check. Check Nannies, Babysitters, Housekeepers And Other Health Care Givers. Often, many people serve as caregivers or other staff who are associated with your children or you or your elderly loved ones or your home, or perhaps in your workplace as well. If you’re smart and careful you’ll want to screen these individuals. We offer best available screening services for nannies, babysitters, housekeepers and all household or child care or health care providers. These reports on individuals your loved ones are vital to your security in that you will know they are of the highest quality ethically, professionally and financially. This brings you enormous peace of mind. Run an online nanny, baby sitter, housekeeper, health care giver background report with us today. These are very comprehensive, affordable and easy to do. Available for all people associated with your household, workplace or other institutions. Take advantage of our great prices and quickly returned reports now. Check Internet Online Dates & Dating Before You Go, Before You Regret. Online dating is a universal practice here in the US and around the world now. Hundreds of thousands are meeting every day for first time dates or a get-acquainted phone call conversation. Obviously, you want to know a lot more about the person that you’re planning on dating than what they’ve revealed or skewed on their posting. Is there something hidden that could be something you need to worry about for your safety? The news is full of tragic dates. What do you really know about the person you met online? Protect yourself with an online date background check. Order today for the best, most informative report available. Many employers now run background checks on potential employees in order to verify their identities, credentials, past criminal records and other information. A personal background check can alert you to errors in your public records, and give you the chance to correct them before it affects your job search. Protect yourself with a personal background check. A survey conducted by the Society for Human Resource Management found that close to 50 percent of companies screen job candidates with criminal, financial and personal background checks. Most of these checks are conducted after a job offer or interview. Background check results may have an impact on whether or not an employer will make a job offer. Having a criminal record can result in immediate disqualification. Industries and positions with financial responsibility and access to confidential information are sure to conduct a personal background check. Because of this growing trend towards conducting employment background checks, job applicants should check their own personal information in order to verify the accuracy of their personal records. Mistakes happen and are quickly revealed with a personal background check. Once you receive your personal background check, you can assess the accuracy of the information, and directly contact the agencies concerned to correct any errors. This gives you greater control over your personal public information, and ensures prospective employers will be able to confirm your honesty and integrity. Another reason to conduct a self-background check is to determine if you have been the victim of identity theft. 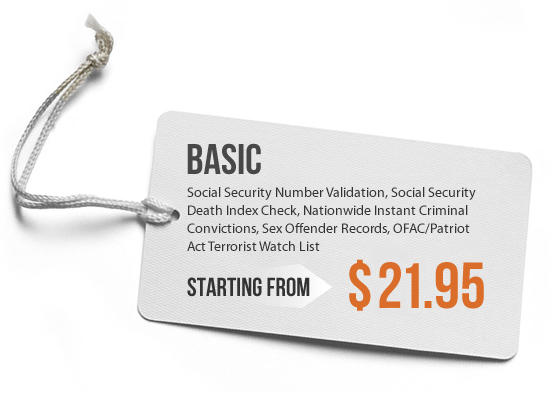 Your Social Security Number (SSN), for instance, is closely tied in with your public identity. If a criminal manages to get hold of your SSN and other personal data, they can easily apply for loans, credit cards, and other services under your name. In many cases, the results of these fraudulent activities can have far-ranging consequences, which can take years to resolve. Learn what information out there is attached to your personal name. Protect yourself and your identity with a personal background check. Once you receive your report, you can assess the accuracy of the information, and directly contact the agencies concerned to correct any errors. This gives you greater control over your public information, and ensures that prospective employers will be able to confirm your honesty and integrity. Another reason to conduct a self-background check is to determine if you have been the victim of identity theft. Your Social Security Number (SSN), for instance, is closely tied in with your public identity. If a criminal manages to get hold of your SSN and other personal data, they can easily apply for loans, credit cards, and other services under your name. In many cases, the results of these fraudulent activities can have far-ranging consequences, which can take years to resolve. By learning what information out there is attached to your name, you'll be able to protect yourself and your identity. 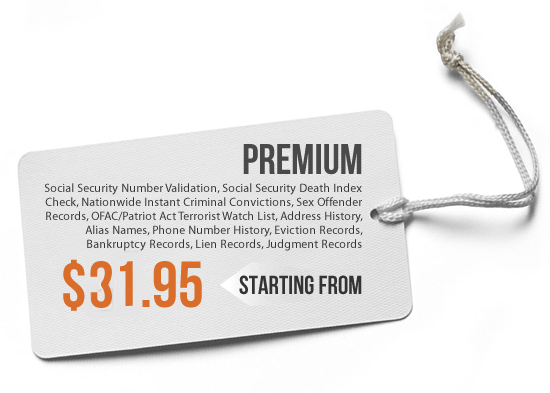 Call 866-903-2504 or contact us today to get a fast and convenient personal background check. Are you renting a new house or apartment? Review your report before your landlord sees it. Interviewing for a new job? Interview with confidence - know what is in your background check. Becoming a volunteer in your community? Fulfill your background check requirement instantly online. Have you ever checked your background report? Have you experienced identity theft? Check for and correct inaccuracies. BackgroundReport.com Best online and fast services for doing a background check on yourself. Or for all people who you must trust with your children or lives ones. Nannies, baby sitters, caregivers, housekeepers, health care givers, elderly nurses. Don�t just assume the best. Check and know for sure before something unfortunate happens. Knowledge is in your hands now with backgroundreport.com. Also check online dates before you go out. Simple to do. Bookmark this page. Be safely informed.